Initially introduced in 1999 to meet low VOC legislation, the ENVIROBASE® High Performance system is now the leading premium waterborne paint system in North America. 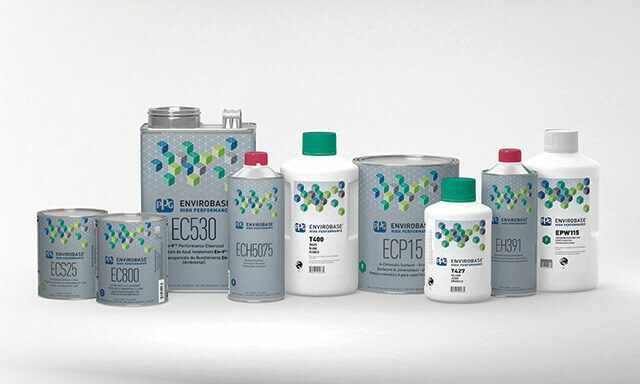 Delivering everything high-production collision centers need, the Envirobase High Performance waterborne system achieves outstanding color match for today's OEM finishes and provides easy to use products for improved cycle times. Envirobase High Performance products are not only included in the PPG Paint Performance Guarantee—they are also backed by the Good Housekeeping Seal. No longer just a basecoat color platform, the Envirobase High Performance system provides a suite of undercoats and clearcoats that integrate flawlessly with its advanced waterborne basecoat providing best-in-class color accuracy and durability. Available exclusively from PPG Platinum Distributors, the SHOP-LINE® refinish system provides everything you need to perform efficient, quality and economical refinish repairs. With a simple, compact mixing system, color matches for the latest vehicle finishes, and a complete range of refinish products from pre-treatments to topcoats and clearcoats, Shop-Line finishes are designed to deliver the ideal balance between performance and price. 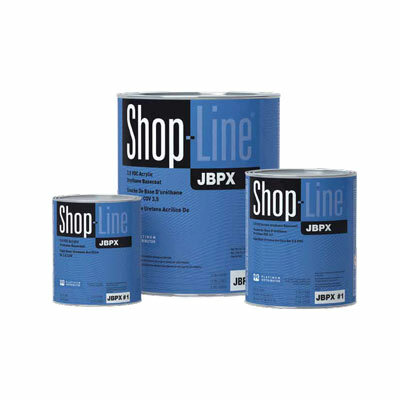 Also available are Shop-Line Plus products, an extension of the Shop-Line basecoat system. The Shop-Line Plus option consists of high-strength toners, special effect diamond toners, a basecoat converter and a mixing clear. All are formulated to optimize the throughput, hiding power and color match of the Shop-Line refinish system.